Read article – Quotes Robert Drake, the Andrew Thomson, Jr., 1946 Professor, professor of The Dartmouth Institute for Health Policy and Clinical Practice and of community and family medicine, in an article about a recent study that examined the correlation between steady employment and addiction recovery. “It doesn’t really address what we know and have known for more than half a century about recovery,” says Drake. “When people get abstinent, they have a high rate of relapsing.” To promote long-term recovery, Drake suggested that involvement in meaningful activities is essential. Read article – A feature story about Megan Bunnell ’13, Geisel ’19, who will be running in the Boston Marathon to raise money for Joslin Diabetes Center, where her boyfriend Eric Schlobohm has been a Type 1 diabetes patient for years. “I’m excited to be a part of something as big as the Boston Marathon as well as knowing I’ll have raised money for an organization I care a lot about,” said Bunnell. Read article – Quotes Mary Jo Turk, professor of microbiology and immunology, in an article about the autoimmune skin condition vitiligo. “There’s always a fine line between treating autoimmunity and releasing control against cancer,” says Turk. Read article – An opinion piece by Paul Manganiello, active emeritus professor of obstetrics and gynecology, in which he discusses Vermont’s proposed S.169 bill, which would require a waiting period for some gun purchases. 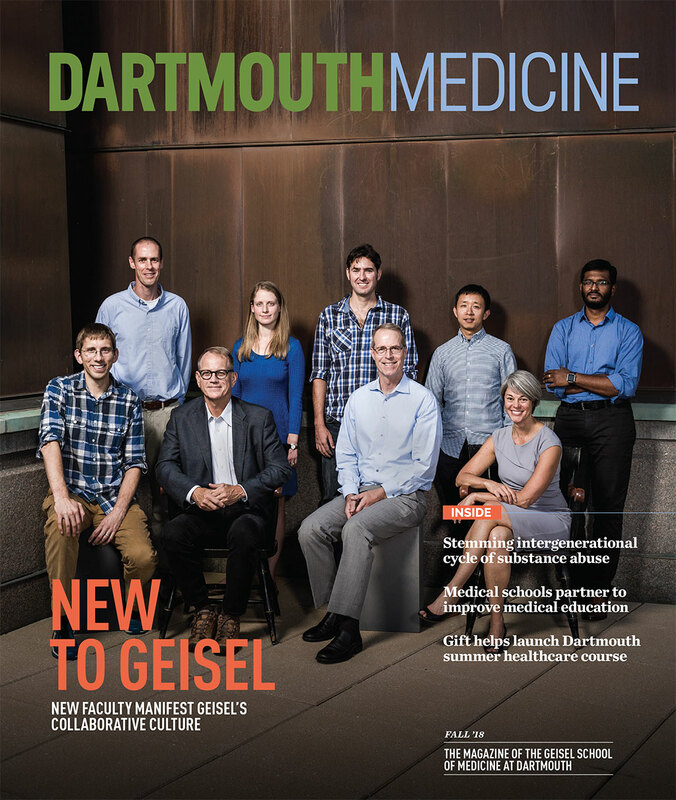 Read article – Quotes Marek Svoboda, Geisel ’23, in an article that shares tips on how international students can apply to medical school. Svoboda, an international MD-PhD student who was raised in the Czech Republic, says when he was applying to U.S. medical schools, he often called schools to check if funding and scholarships are available to international students. Svoboda also says it is important for medical school hopefuls to recognize that it is exceedingly difficult to get admitted to U.S. medical schools, even if they have strong grades and test scores. “The most important thing is to be aware (of) how hard it is, and many students won’t realize that until the last minute or ever really, so be informed and then … be realistic about this,” says Svoboda. Read article – Continued coverage of comments by Samir Soneji, associate professor of The Dartmouth Institute for Health Policy and Clinical Practice, in an article about how the impending exit of Food and Drug Administration Commissioner Scott Gottlieb is leading city and county public health officials to urge the Trump administration to go bigger in its response to adolescents’ growing use of e-cigarettes.